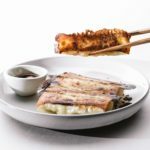 Crispy pan fried shrimp potstickers: yes, you CAN make them at home! Roughly chop the shrimp until it starts coming together as a paste. Alternatively, place shrimp in a food processor and lightly blitz until it comes together as a paste. Mix shrimp throughly with the ginger, garlic, oils, green onions, and seasoning. Take a tiny bit of filling, microwave until cooked, taste, then adjust seasoning, if needed. 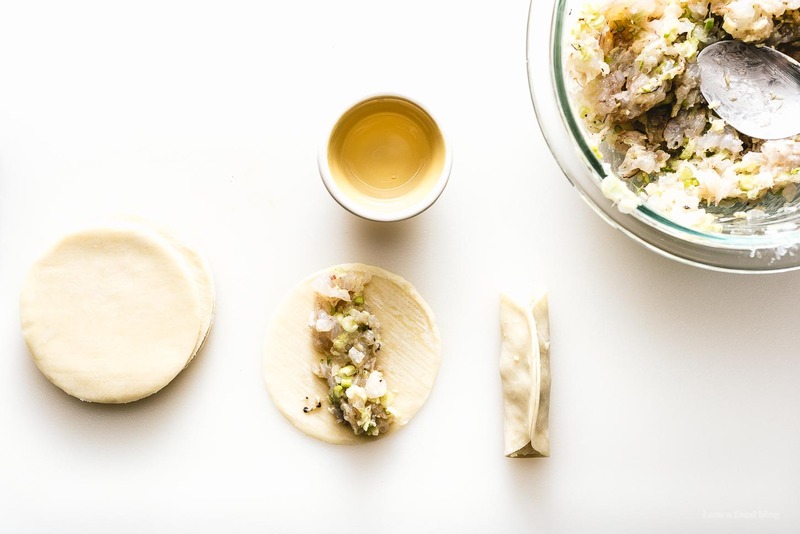 Wrap potstickers: place 1 tablespoon of filling in the middle of the wrapper. Lightly moisten the edges of the wrapper with water, then bring together and pinch. To cook: in a nonstick pan, over medium heat, heat up a touch of oil. 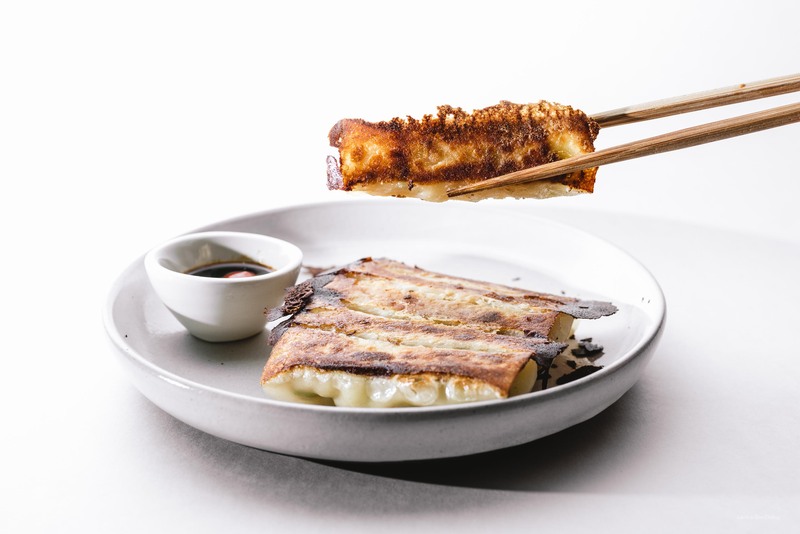 When hot, lay the potstickers in the pan, in one layer. Cook, until slightly browned, then add 2 tablespoons of water and cover and cook for 6-8 minutes. When the water has cooked off, lift off the lid and continue cooking until the bottoms are brown and crisp. Enjoy hot, with soy sauce! Note: You can buy potsticker wrappers at your local Asian grocery store, they’re round and might be labeled gyoza or dumpling wrappers. Or, you could use wonton wrappers as well! YUM! 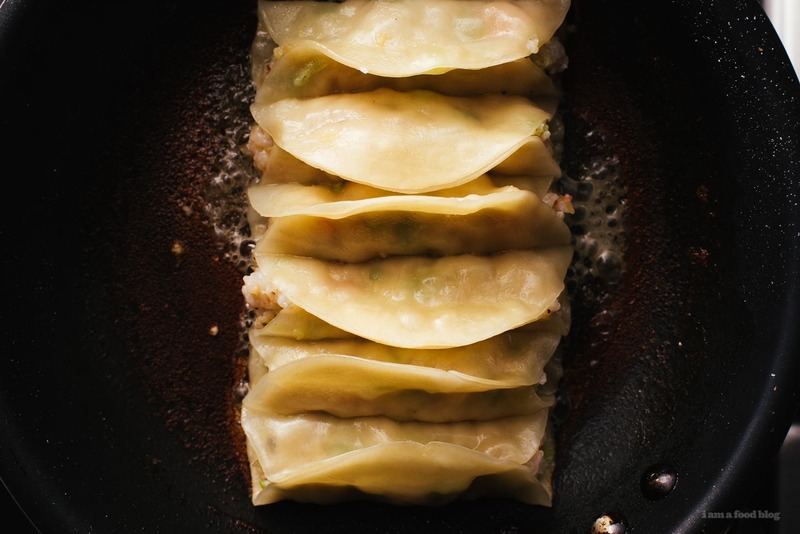 Nothing better than a hot & fresh potsticker– especially homemade! These look even better than takeout! I love the idea of just kind of rolling them to get a nice crunchy bottom. Great tip, thank you. yes, i’d freeze them uncooked, in a single layer, on a cookie sheet, not touching. when you cook them, cook from frozen and give them a minute or two longer.